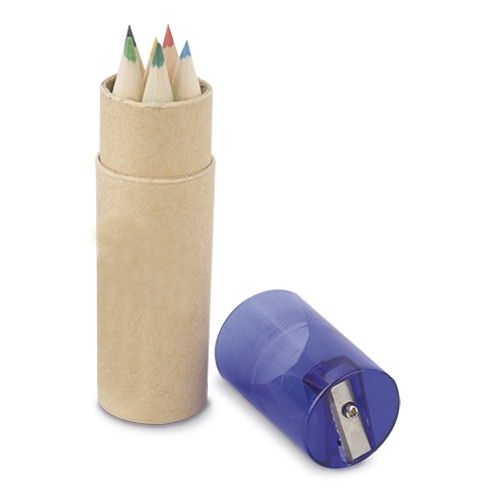 B-095-AZ :: 6 COLOUR PENCIL CYLINDER SET - C.I.F.R.A. S.L. APRON + WAX CRAYONS "CHIQUI"